When I first finished university I got an internship at the BBC. I wrote a few articles for them which they always used to tell me to dumb down more, and then some. At the time I felt totally pissed off by this. I used to think: you set the expectations of people. Do you really think this is all people can manage? Most people will meet you where you are. I found it incredibly patronising. I was probably the token irritating & idealistic intern to them. We all have hoops we have to jump through. It’s funny to notice the impatience I now have towards idealism. There’s a part of me who wants to come into work, and get the job done. I think we can become so completely obsessed with ideals that we become idle. Although I still feel the same, incidentally. That people can do so much more than we imagine. 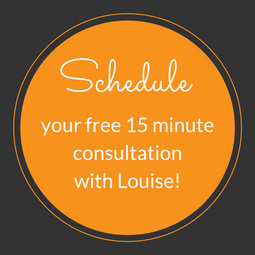 In my private practice I talk to all kinds of different people about all kinds of different concepts. Deep, wondrous and consciousness expanding concepts. I don’t think there are any concepts that can’t be understood by people if they’re presented in jargon free, straight forward language. I’ve witnessed many people rising to the challenge. It’s so touching to see what happens when we expect more of people. Sometimes, we need to disrupt belief systems. It’s fascinating to me how people often find it really irritating and difficult when their beliefs are challenged. I guess we find it easier to hold on to what we know. If we acknowledge we might be able to do something, such as manage money, we will then have to take responsibility and do something about it. Next Next post: The Dark Goddess Series II: For the Women who refuse to play small.